Bring your own device (BYOD) or bring your own technology (BYOT) refers to the practice of allowing students to bring personally owned mobile devices such as laptops, tablets, or smart phones into their school and use those devices to help them work, learn and collaborate socially. This infographic from gettingsmart.com answers questions such as “Why go BYOD?” and “Who has gone BYOD?”. This article by Apple includes Case Studies from well known companies as well as tips on getting started and implementing your own BYOD policy. InfuseLearning is a free online tool which turns any web enabled device into a classroom response tool. The tool allows teachers to send questions / quizzes out to students' devices in private virtual classrooms. InfuseLearning allows teachers to create tests and quizzes in a variety of formats. 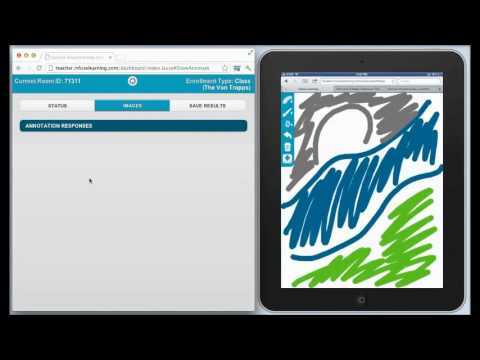 Students can reply to prompts and questions in the usual formats such as True/False, multiple choice and open ended text answer formats however, thanks to a unique feature of InfuseLearning, students can reply by creating drawings or diagrams on their web enabled device. InfuseLearning also offers some helpful accessibility features such as support for multiple languages as well as the ability to enable translation for questions and audio narration. 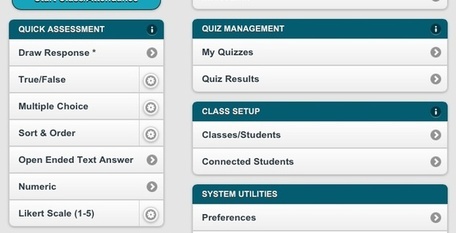 Above: Teachers can create tests and quizzes in a variety of formats. Below: Students can reply by annotating images or diagrams sent to them by their teacher. Edmodo is a FREE 'Social Networking' environment for students, partents and teachers. It provides a safe and easy way for your class to connect and collaborate, share content, and access homework, grades and school notices. In fact, many schools are ditching their VLE's in preference to edmodo. 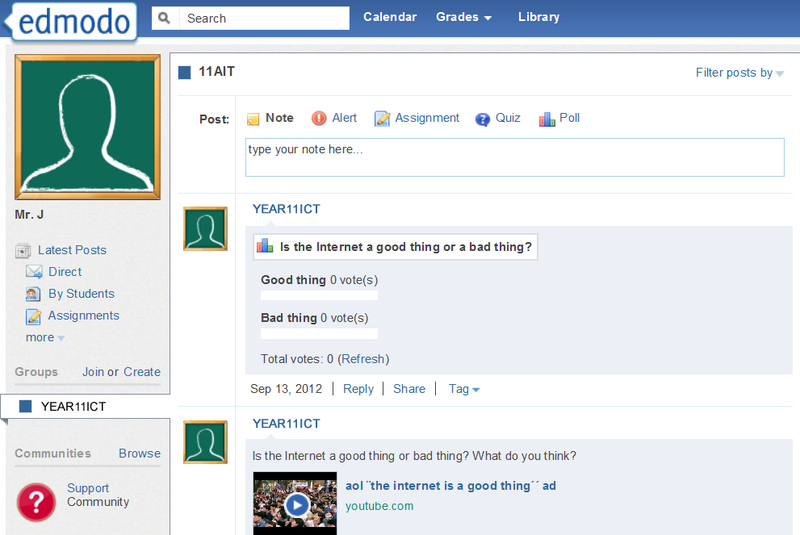 Teachers and students can post messages, discuss topics, assign and grade work. One of edmodo's most useful features is the ability to create polls and quizzes which allows students to use their web enabled device as a response / voting system. Edmodo is accessible online and from any mobile device via free smart phone applications. 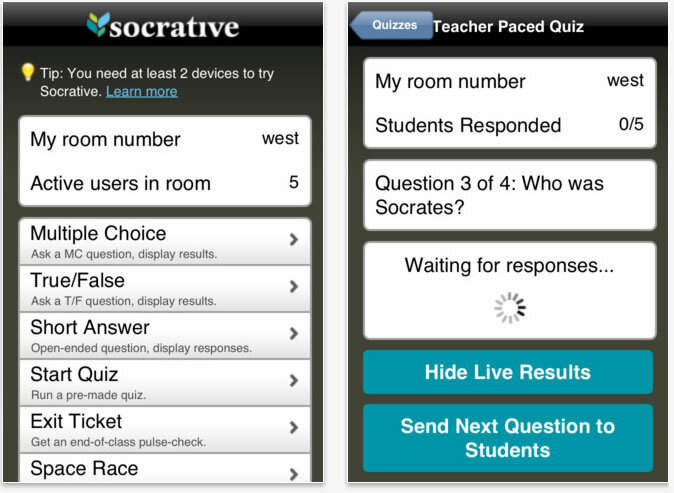 Socrative is a great AfL app which allows you to create interactive quizzes and surveys. ✔ Short Answer Questions: Ask an open-ended question. Students respond and all their answers populate your screen for projection. Then ask students to vote on their favorite and watch the results come in. ✔ Quick Quiz: A teacher paced or student paced activity with multiple choice and/or short answer questions. Results can be viewed question by question and exported to a report that is automatically aggregated and graded. ✔ Create a Quiz: Design your own Quick Quizzes with our built in feature or import them with our Excel template. Share with your community! ✔ Space Race: Teams of students answer multiple choice questions in this fast-paced rocket race game. First team to get their rocket across the screen wins! You’ll get a graded report! ✔ Multiple Choice: Ask a MC question, and see student responses on the projection screen as a bar chart. With a wealth of free resources available online which can be used in the classroom, here is a selection of some of the best.